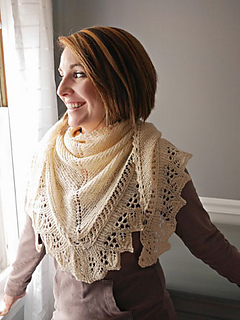 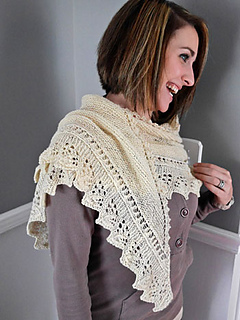 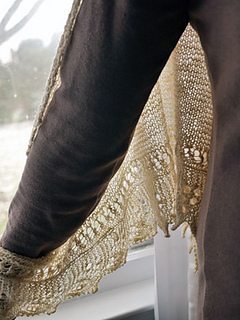 A flirty triangle scarf or shawlette, worked from neck to hem, with a deep openwork border of overlapping leaf motifs. 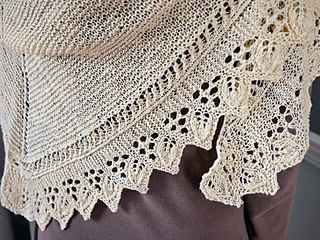 The easy-to-work stitch patterns and wrong-side rest rows make this piece a fun, relaxing weekend traveler for experienced knitters and a good project to try out a knit-on edging. 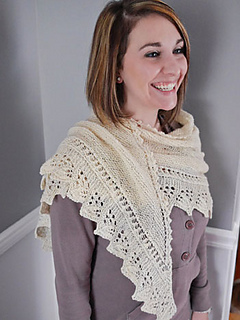 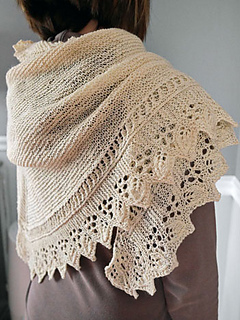 It’s ornate appearance belies the simplicity of its construction; this piece knits up quickly and effortlessly to make a beautiful spring accessory or last-minute gift.